A bronze from the Louvre in Paris. 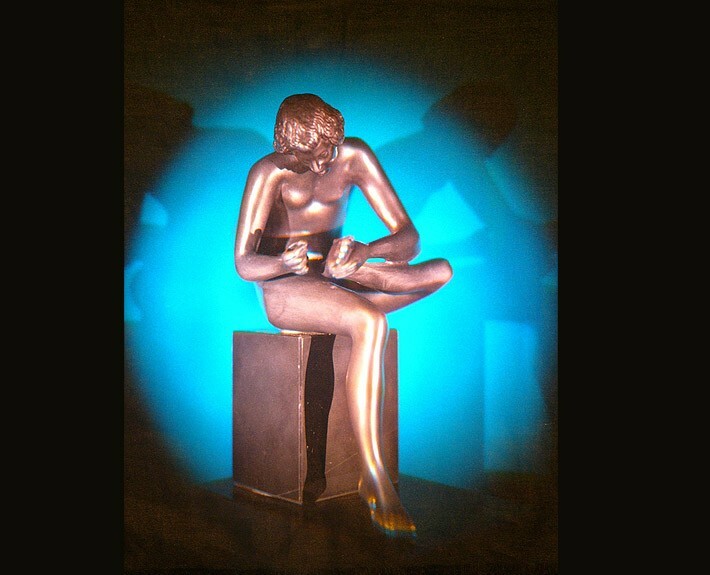 This hologram simulates the colour and effect of bronze, highlighting every little detail. The blue background acts as a discreet reference whilst naturally enhancing the contrast.